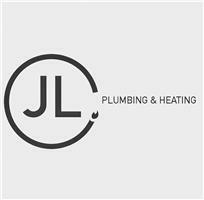 JLC Plumbing & Heating - Plumber based in Maidenbower, West Sussex. JLC Plumbing & Heating is an honest, professional and affordable company. We are a relatively new company with years of experience, offering services in all aspects of plumbing and heating, full bathroom refurbishments, kitchen refurbishments, boiler servicing/installations/breakdowns. For FREE quotes and advice do not hesitate to contact us! General Plumbing, radiators, valves and thermostats installed and replaced, shower installation and repairs, water leak detection, water supply pipe repairs, blocked baths, sinks and toilets, plumbing repairs, tap repairs, water main specialist (pipe replacement, moling and lead pipes) and water pumps.